Winnie and me call the ministry we do John316 Ministries. Our main call is to evangelize in all areas the Gospel of our Lord Jesus Christ. We during prayer time to the Lord and as led by the Holy Spirit have decided not to fall under any church group or denomination and work with all churches that is part of the body of Christ taking hands in doing work for the Kingdom of God to be established on earth. We have however submitted our-selves to the elders and leadership of Oasis Ministries in Fishhoek which have send us into the mission field from there. 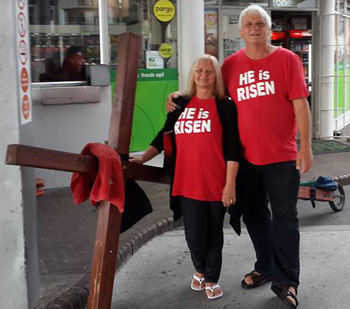 My uncle Errol Rennie and Linda Rennie pastors Oasis Ministries. They pray for us all the time and councils us and guide us in many decisions we from time to time have to make concerning ministry. We visit Fishhoek when in Cape Town for refreshing time in the Lord with them. 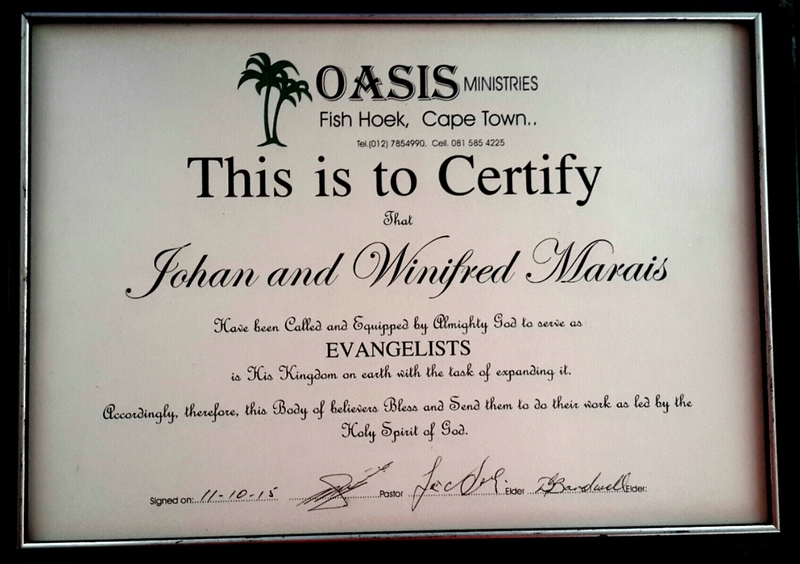 Winnie and i (John316 Ministries) are under the covering of Jesus Christ have submitted to the leadership of Oasis Ministries and if you need to contact them for a reference feel free to call Pastor Errol and Linda Rennie on 012 7854990 or cell 081 585 4225.